在富裕的新加坡，为何很多短期工人是在饿着肚子工作？ [联合国媒体] In rich Singapore, why must migrant workers go hungry? Whenever Mominul Hassan calls his wifeand two children back home in Bangladesh, he makes it a point to disable thevideo call function on his phone so that they will not be able to see him.This,he says, is the only way to ensure that they never find out how much weight hehas lost since coming to work in Singapore as a construction worker eight yearsago. “If my wife sees me, she will worry and ask me to come home. I misshome but I also need to earn enough money before I can return,” he said.Hassan,32, weighed 65kg when he arrived here. Today, he is only 55kg – a dip caused bya lack of proper food and nutrition, he said.Hassan is not alone. In one ofAsia’s most developed countries, where food wastage is a national problem,migrant workers are going hungry because of low wages and a highly competitivefood catering industry that capitalises on the willingness of workers to scrimpand save for a better life. World renowned for its meticulousplanning and distinct skyline that featured in the Hollywood hit film CrazyRich Asians, Singapore depends on a large pool of blue collar migrant workersfrom countries like India, Bangladesh and Myanmar to power its building andconstruction sector, which was valued at nearly US$22.5 billion in 2018. But ina country with no minimum wage, migrant workers take home just US$13-15 dailyfor back breaking work that usually lasts from 10 to 12 hours a day, dependingon the scale of the project.As a result, most workers do not mind clocking inextra overtime hours to supplement their income. With barely enough time and cash tospare, they turn to caterers as a no-frills and cheap solution for their dailymeals.On paper, it seems a good deal. For US$90-US$110 a month, they get threemeals a day delivered straight to their dormitories and work sites. Exposed to Singapore’s heat andhumidity, the food often succumbs quickly in the open.“The food always arrives fresh butby the time I eat it, it has already become bad. Usually I will throw awayabout half of the rice because I cannot eat it any more,” said Hassan. Ironically, the workers are alsocontributing to Singapore’s food waste problem. The food packages are usually left inboxes in the open, because there is a lack of proper food storage areas neardormitories and work sites.As a result, workers told This Week in Asia it isnot uncommon to find stray dogs and rats getting to the food packets beforethem. Duringmonths of monsoon rain, the food is soaked and inedible.To get by, workersoften forgo meals altogether. Others turn to caffeine-enhanced energy drinks toperk themselves up and to eliminate hunger pangs.Indian national A. Rajah, whohas lived in Singapore for seven years, says that even though he is well awareof the long-term side effects of energy drinks, such as increased bloodpressure and diabetes, he has little choice. “It’s cheap and the sweetaftertaste helps to keep me awake,” he said. “But I’m not the only one. If youwait outside worker dormitories in the morning, you will see piles of energydrink cans.” For workers who live in dormitories equipped withadequate cooking facilities, the situation is only slightly better. While theycan cook their own meals, the supermarkets in dormitories usually charge higherprices for their goods compared to those elsewhere. With 1.5 million foreign workers inSingapore, the food catering business that serves them is lucrative. To edgeahead, firms slash prices knowing the customers are very price sensitive.Quality invariably suffers.“Similar to any other industry, the more you pay, the better thequality. It is not the fault of the caterers or the workers,” said SukkurMaideen, 47, who manages a canteen and a supermarket at a dormitory. Caterersdo not have it easy either. To meet demand, kitchen operations run 24 hours aday, every day of the year. The labour intensive business chalks up heavy costsfor logistics, fuel and manpower and Singapore is expensive. Margins are thin. A seasoned industry player sayscaterers make just 30 cents per meal. To boost profits, corners are cut byusing inferior ingredients and consolidating deliveries. One caterer said workers could notexpect more for the amount they paid. Migrant worker T. Kamalakannan, 26,suggested using weatherproof thermal food boxes could improve the situation.“Proper storage boxes that can helpto keep our food warm and safe will give us peace of mind because we can workknowing that we don’t have to go hungry or throw away our food afterwards,” hesaid. Thefood issue, said migrant worker activist Debbie Fordyce, executive committeemember at Transient Workers Count Too, was part of a wider picture ofexploitation facing low wage transient migrant workers. After having to payexorbitant recruitment fees to secure their – often dangerous and demeaning –jobs, workers were indebted to a point where coercion and exploitation wasinevitable, said Fordyce. She said employers had a responsibility to ensuretheir workers had access to reliable caterers or adequate kitchen facilities toprepare their own meals. “Migrant workers play a key role in driving oureconomy. 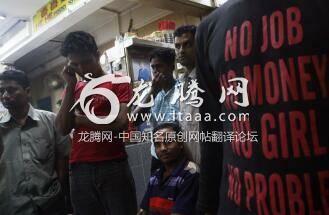 We should treat foreign workers humanely, not as disposable andreplaceable labour,” she said. It is necessary to report on abuse onANY people but calling modern cities in Asia "hell" for domesticworkers insults both local employers and the many aspiring helpers coming in.Unless you can provde something better to replace it, do not badmouth this typeof employment which, naturally, should be under constant monitoring.If youreally want to see hell, go to the "red light" districts. Try 42ndStreet in New York City. Domestic helper are not Citizen, theyare on work visa, and they have be fits of free lodging and free food. Withhousing and food cost being taken care of their disposable salary is higherthan a lot of Hong Kongers.It is difficult or close to impossible that a HongKonger earn 20k a month to support their families and own a property but theseworkers are able to. So their wages in absolute term is more than decent. Thereare bad employers but this does not means all employer are, same as there arecriminals but it does not means everyone is a criminals.End of the day,domestic workers in Hong Kong have a higher wages than the same work in a lotof countries. And they are in Hong Kong because they want the job not becausesomeone force them into it. Until the culture that considers somepeople are inferior changes, nothing will change. Or the government can enforcestiff penalties for these abusers. same recycled article from the samepseudo "journalist" again, why even point fingers at trash tier HKersand Singaporeans? in Philippines and indonesia it's far worse in general wherethey would be oppressed by their own countrymen.I can only imagine how vilePH/ID employers are towards cheap unskilled employees.if it's so bad abroad whydon't they return home? the answer is - because bad here is still 100x betterthan life in those SEA countries.